Every success story has a humble beginning which proceeds through extraordinary events, and extreme life journeys. 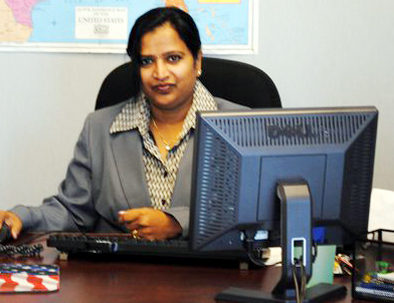 The story of Jyothi Reddy – CEO of Keys software solutions, is one of them. Her sum total of honesty towards her small efforts and willingness to keep advancing in life changed her life. D. Anila Jyothi Reddy was born in Narasimhula Gudem in Hanumakonda mandal as the eldest of four children to an ordinary poor peasant who had lost his job during emergency. While schooling, the depths of poverty unfolded to its extremity and forced her to an introvert life in a government orphanage BALASADAN for long five years and when she completed her 10th class with good marks, she reached the greatest climax of making full stop to her studies. But education was something for which she remained passionate about. The financial disposition of her family compelled her to get married at the tender of sixteen and by the age of eighteen, she became mother of two girl children. To meet the basic requirements of her family, Jyothi started working as an agricultural laborer for 5 Rupees a day and continued working from 1986 to 1989. 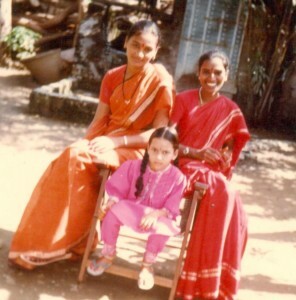 Jyothi would mostly work in the fields and struggled to find a job in off seasons. Her tumultuous life changed the day when Nehru Yuvak Kendra (NYK) founded a night school with the intention of providing basic education for the villagers. As she was the only educated girl at her village, they appointed her as a trainer for Rupees 150 a month. A sudden change in life ignited Jyothi’s passion for education once again; her enthusiasm and hard work towards her responsibility overwhelmed the Inspection Authorities who immediately promoted her Mandal Prerak of Hanumakonda. During the time, she realized the importance of education and she went on to completing her graduation and post graduation Ambedkar Open University. Later, on completion of her B. Ed from Anna University, Jyothi Reddy became a government teacher. It was the initial stage that she successfully achieved through slow but steady steps. While working as inspector of schools, she came in touch with one of her relatives who was settled in the United States. After meeting them on some occasions, Jyothi realized how a completely different lifestyle they led. It was the time she first dreamed of going abroad for a bright future of her daughters. 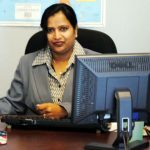 There is saying, “Success is 1 percent inspiration and 99 percent perspiration.” Jyothi began preparing herself for a healthy lifestyle and learnt computers, began saving money for her passport and visa. Back in those days, getting US Visa wasn’t an easy task; Jyothi tried for several times and failed. Somehow she managed a visiting visa and flew with a little amount. Here obstacle did not stop here; all her relatives turned off their faces and denied giving her shelter. She was finally accepted as a paying guest at a Gujarati family. 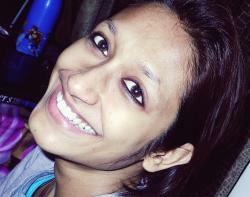 Jyothi joined a video shop in “Movie Time” in New Jersey as a salesperson. While working, her perseverance was noticed by an Indian from Warangal on whose recommendation she got a job as recruiter at a company called CSAMERICA. It was a climbing phase of her economic and career ladder. Several months later, a reputed company ICSA offered her a better position with handsome salary. However, after working for some day the company asked her to resign for not owning a working Visa. She resigned from ICSA and once again worked for just $5 an hour doing several offbeat jobs until the day she received her H1 Visa. Getting the Visa Stamped, in Jyothi’s words, was one of the most painful and dreary experiences. She had to go to Mexico and live for a great length of time. She came back to the U.S. in May 2000 and became entrepreneur with her own initiation. Her honesty without slightest anxiety of result was supreme investment for good fortune. Today, Jyothi Reddy’s success is not limited to her family or friends; it inspires thousands of self-trapped excusists to rise above their countless defeats and fight against their stormy presence with courageous heart and claim a better future. She proves that to be successful, one does not have to be equipped with exceptionally brilliant qualities or talents, what requires is aspiration, desperation, perseverance to accomplish, which most people think to be impossible. She is also a live example of ‘harder you work and luckier you get’. Break your so called perception about yourself if it limits you, expand your courage if difficulties challenge you, and answer your obstacles if it attempts to confine you. Jyothi Reddy is one of many success stories which prove “Nothing’s Impossible”.